Lately I’ve actually felt like I have been getting into the groove of my new work-from-home lifestyle. A daily routine that suits me has fallen into place nicely and I feel like I have a good balance of my writing and being a housewife. I have always loved the ‘old-fashioned’ notion of being a homemaker, and am happiest when pottering at home. Home is the place where I can create a sanctuary and be surrounded by my favourite colours, scents, sounds and corners of beauty. Jane Austen said ‘there's nothing like staying at home for real comfort’ and I agree. There is just something about feeling snug in your own space, and it doesn’t matter how grand that space is. I was just as happy when my bedroom was my sanctuary back when I was flatting with my sister and two other girls after my first divorce. We rented, so I had no control over how the house looked but I could keep my room clean and tidy, with a cosseting bed and all my books and perfumes on the shelves. It was here that I dreamed of my next phase of life and wrote out the list which I asked the Universe to deliver to me. Nowadays I have more than I ever could have imagined, and I know there is still goodness to come. That’s the thing about life, it keeps on getting better – but only if you expect it to. 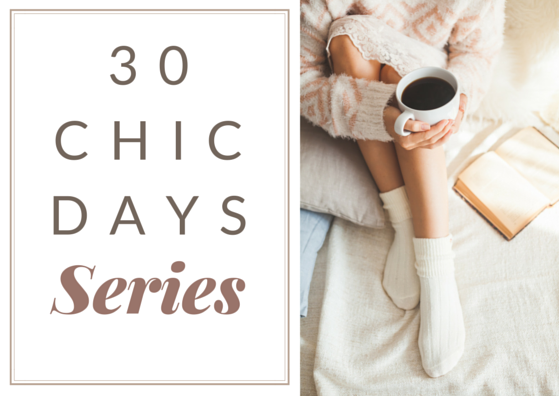 Louise Hay said that each decade of her life got better and better, and it did. That’s the way to think! A day is a good day for me if I get a chance to tend and enjoy my home. Slowly we are creating our ‘Ralph Lauren on a budget’ décor look and as we do that I am finding places to beautify in our new abode. We’ve been here eight months now and I still have areas which are yet to be organised. We will be here for a long time and I want to take my time to create order in a way that is enjoyable not only afterwards, but during as well. Aside from all the usual things that fill in a day, I always have at least half an hour to read with a cup of coffee, and write as well. Creativity makes my soul happy. My current project is my home office where I write. It’s not the biggest room in the house nor with the fanciest furniture, but it feels spacious and enveloping all at the same time. It’s a room ripe with possibility and I love being in there. I have my style files to hand, notebooks filled with ideas, goals and dreams, and two little dogs who hang out under my desk with their cozy beds and chew sticks. The cats come and go, depositing fur on my desk which is very satisfying to clean once a week. Yes, home is my happy place. Even with going on holiday the most exciting part is coming home afterwards. I love going away and I love returning home! Go on, call me sad, I don’t mind. My dad, now retired, once told me he realized he hadn’t left the gate for nine days. He is happiest being at home with his dog and his creative projects. Maybe that’s where I get it from. Wishing you a wonderful end of the week and weekend! 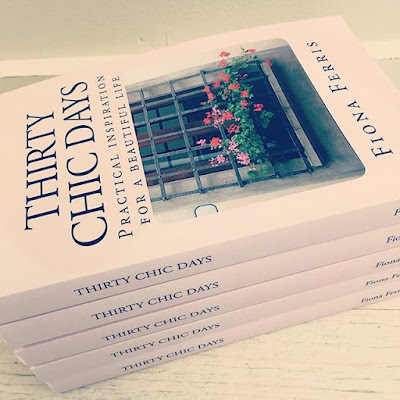 Thirty Chic Days is still my most popular book, and I am so excited that it has been translated into Lithuanian and now Russian. It's been quite a surreal experience dealing with proper publishing houses on the other side of the world, and a total thrill as well. 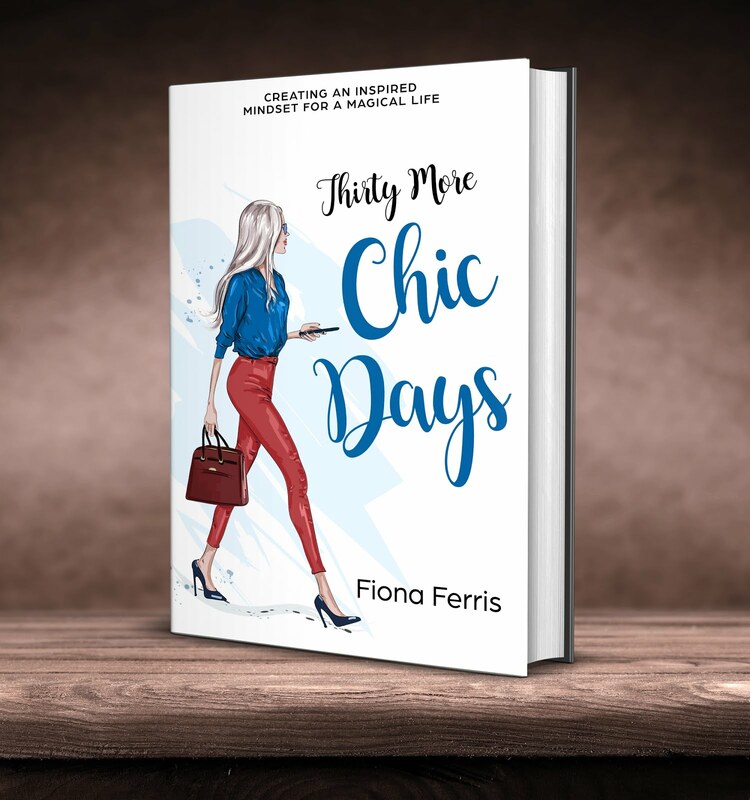 If you haven't read Thirty Chic Days yet, you can do so on Kindle, in paperback or listen to the audio book. I narrate the audio version and I've been told it is very soothing to listen to. I love being read to while going for a walk, weeding the garden, or driving. It's far preferable to ads on the radio! Oh, you are a girl after my own heart!!! My home is my favorite place to be! When I pull into the driveway I say to the kids, "Hey, look! It's the most wonderful place in the whole wide world!" They don't think I'm funny, haha, but it's how I feel! I have enjoyed learning from you through your blog and your books. You have taught me to embrace my homebody and homemaking desires. Thank you for saying that Courtney. I've been 'teased' in the past for not getting out more, and being like a hermit. But if I love being in my home, where's the harm? It's not like I'm telling all those people they should stay in more :) Each to his own, and embrace your own desires. Morning Fiona, i can so relate to this post. I love being home, and even more so than when i've been away on holiday and come home, or have had a really busy week tooing and froing with the family, being mum's taxi service. I love nothing better than pottering around the house, creating vignettes with various decor items, and there is nothing better than freshly polished furniture and everything just so. Home is my (and my husband's) favourite place, too, Fiona. There is nothing as nice as homemaking, is there? Whether it's cleaning, or tidying, or arranging flowers, or dusting the bookshelves, or making a meal, or cleaning the silver, it's just so pleasing making a home look its best, but without spending a huge amount of money. It's not about money, it's about caring for one's surroundings and making it the place one is always happy to return to. Yes, I'm definitely a homebody these days. I used to love working abroad and going out lots in my late teens and early twenties, but home is now my favourite place to be. Just as well, given that I'm a SAHM! I enjoy several different thing such as baking, drawing and writing, but nothing beats reading. I've only recently started using my kindle reader and it's opened up a whole new world! I was always anti-Kindle until I got one, then I saw that they are a great addition to a reader's library. 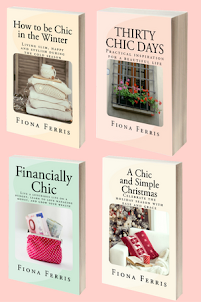 I love downloading books that might not be available in print, or even if they are I can read them straight away and take them with me in my handbag. I fear I may prefer the Kindle page to a paper page now too. Don't tell anyone though! I am a homebody as well. As I've gotten older I've become less of a homebody, but still deep down a homebody. And I'm not much for entertaining either - I've finally figured out that it must have to do with the fact that I'm an introvert and my home is the place I go to re-group/re-charge/be quiet. The things I most like to do are things that you can do on your own: read, quilt, bake, knit/crochet, play the piano. That's really interesting that you have become less of a homebody over time, Jeannine. I feel very cpzy at home and like to cocoon here...I do like to go out and have a few regular outings...my daily walks, bridge at the club,swimming at the pool, marketing and some shopping. Its fairly balanced...I would love my own private pool but thats not going to happen until we move into a condo and who knows how many years that will be! I agree, Leslie, that outings are nice and make you appreciate your home more. A pool would be nice here too, but... the $$! It's so important that one's home be relaxing and a sanctuary. If not your own home, then where can you go to feel safe and comfortable? 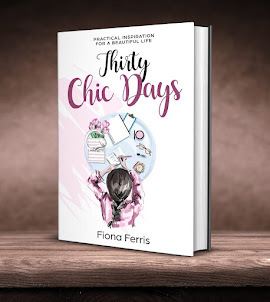 Loved both your "Thirty Days Chic" and "Financially Chic" books and wondered if you had heard of the British author Tara Button's book "A Life Less Throwaway"? 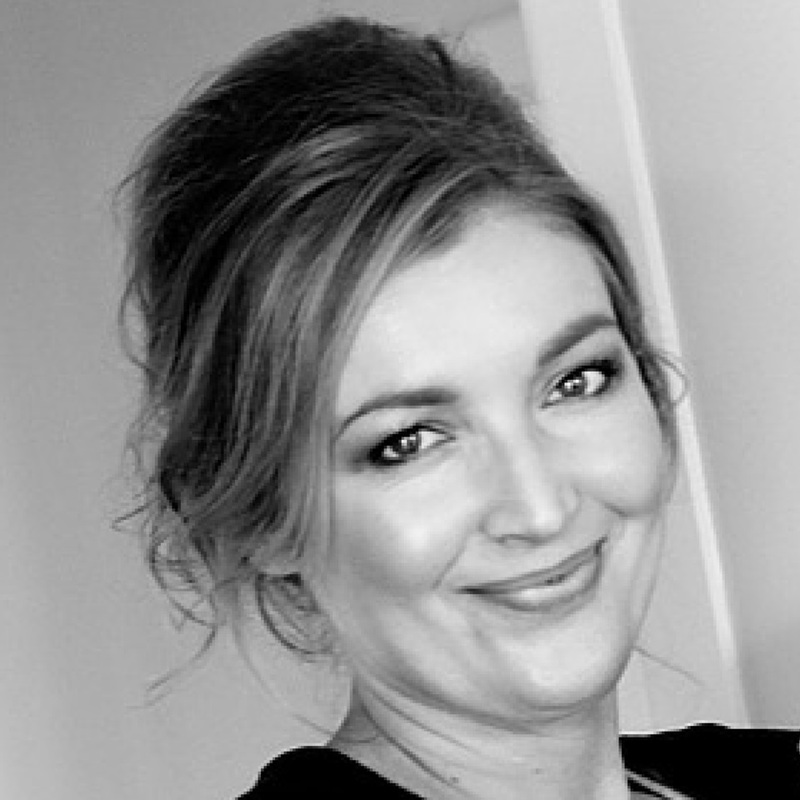 Lots of great tips like yours which focus on quality over quantity and buying things that will not need to be upgraded in a couple of months or found in the landfill in a year or two as the construction/manufacturing of the product was so poorly made. Nice post. My husband and I are both homebodies, though he also likes to travel whereas I don't. Home means comfort, sanctuary, safety, peace and quiet. I have distinctly Hobbitish tendencies, so I like to be at home. I'm happy to go out and do things, but I want to come back to my own furniture and my own bed at night. I am fine with working independently from home--maybe not "fine" but I'm self-directed and efficient and don't need a boss hanging over me in order to get things done. However, I love being around people. Walks in the countryside are lovely, but, like Eva Gabor in "Green Acres," "Darling, I love you, but give me Park Avenue." I adore the "bain de foule." I wish we lived in the city, so I could get out for a dose of humanity without having to drive for half an hour. I grew up moving every 2-3 years (Army brat) and kept it up for years. After marrying Alpha Hubby (who likes being home) I've learned to love our sanctuary more than the city (which came as a huge surprise to me). 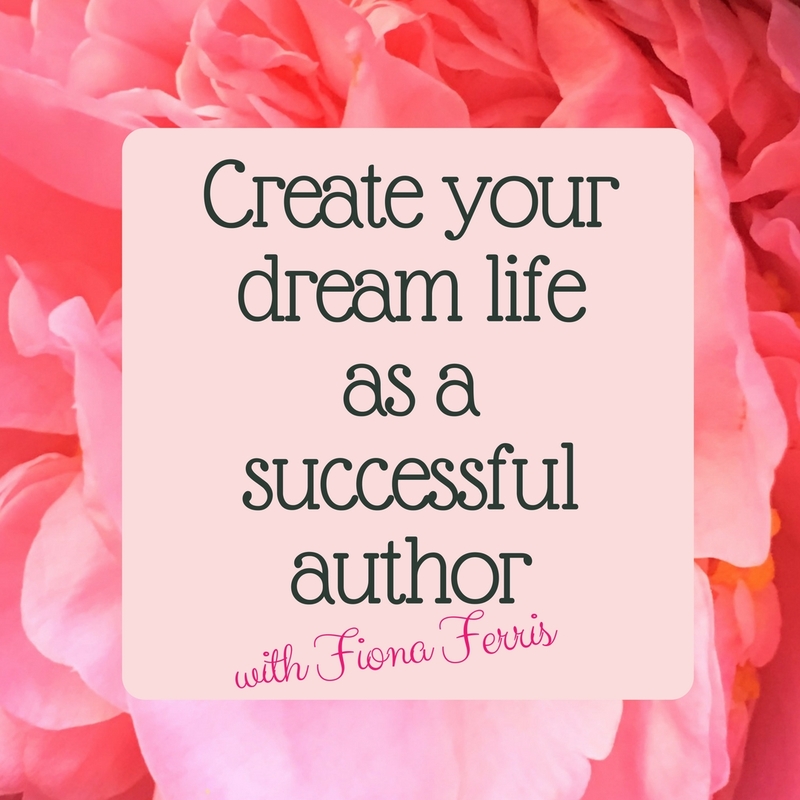 I no longer enjoy the hustle-bustle and stress of being a career woman, whereas before I thrived on it. I find that when I'm where I am supposed to be, doing what I am supposed to be doing, it is a peaceful, non-stressful place. Life should never be stressful. It's amazing how much has changed - for the better! And similar to Louise Hay, life just keeps getting better! I have my reading corner. I have my laptop and desk top for research and studies. I have my very feminine makeup-perfume corner (counter, chair, pretties). Like an old song said, "I enjoy being a girl" and love being an at-home woman now. Creating the zen-like beauty we both have come to love, protecting the peace of our home and enjoying our many life-adventures - life is good. Ooh, a makeup area is on my bedroom or ensuite wishlist. If the mirror has Hollywood lights all round it, so much the better! I love Hollywood lights all around! Mind are only across the top but it is VERY bright with a huge mirror. It's an amazing place to display perfume bottles and play in the makeup! I always feel most comfortable at home. Period. And I love that Jane Austen quote! Your new life sounds absolutely dreamy, Ann. I'm so happy for you. I love gardening but also tidying up (though fortunately my house is not untidy ever), laundry, doing the dishes or cooking something. Watching a show on Netflix as my cat sleeps on my lap is bliss. I truly enjoy coming home, putting on some soft jazz, lighting some candles, enjoying a good book cozied up on the couch. The only thing missing is a sweet little dog to curl up with. My husband is not a dog person unfortunately. One day. One day. One day, Laurabelle, just keep working on your husband. When I couldn't have a dog because I worked full-time, I had a cat (well, two) and it was almost as good. I just love a home with pet(s), so a cat was good enough for me. Love being home . I do like to travel but it is nice to get back home and see my dog and check out the roses in my garden. I'm torn, Lady Jicky. I love the idea of travel but it would mean leaving my house. It's a shame the two - going away and staying home - aren't possible to do both at once!! I love being at home. I retired last August and still can't get enough of spending time at home. I love to read, cook, Garden, color, and journal. I also enjoy doing some volunteer work, going to music, art, and dance performances. But what I like best is being in my home with my three kitties. I even enjoy doing housework now. In three years, my husband will retire and join me. I look forward to each day in my home.